Scorpio is one of the most passionate signs from the 12 zodiac signs; This is also one of their most jarring weaknesses. Emotions and feelings take center stage here, and their passion is one of the strongest there is when compared to all of the other zodiac and astrology signs. Out of all the horoscopes, Scorpios are known to be jealous, over-protective, possessive, and extremely critical when it comes to their partners. They are also passionate and creative, which makes them extremely prefect for those individuals looking for very caring and loving life partners. Generally speaking, the most dominant traits of a Scorpio are based on emotions and feelings, which cloud their judgment on certain things more often than not. Water is the element of the Scorpio Zodiac Sign. Water dominated zodiac astrological signs are known to be very sensitive, and they value their instincts more that then value their intellect. A Scorpio is also known to be extremely introvert individuals, which might explain their possessive and jealous nature. The Scorpio Zodiac Sign is a very unique zodiac horoscope sign because it is dominated by two ruling planets: Mars (Roman God or War) and Pluto (also known as the god of wealth). It certainly suits a Scorpio well, especially since a Scorpio is very passionate about feelings and emotions especially towards their relationship partner like the god of war should be, and they are financially capable and loves security, just like a god of wealth should be. When it comes to passion, romance and sheer emotional compatibility, nothing can ever beat a Scorpio Zodiac Sign’s commitment and loyalty. Can two passionate and overly possessive zodiac horoscope signs find a way to work with each other? When you bring together two people who are driven with the same amount of passion, sexual attraction and emotional temperature, it will either be relationship heaven or an emotional disaster. This is exactly what will happen when you pit a Scorpio with its own sign: pure emotional involvement. Because of their deep emotional understanding and involvement with each other, it is very surprising that they understand very little of each other. Theirs is a relationship full of passion, and because of that they leave too little to knowing each other intellectually and mentally. They leave all logic at the door, and focus purely on what they feel at the moment. The horoscopes find a way to balance each other out, but we all know that too much of a good thing may sometimes lead to a wrong. They are both very jealous and demanding of each other, which doesn’t make sense because they are completely loyal to one another. They are both trying to control the relationship, and we all know what happens to a ship that has two captains – it usually crashes and sinks. zodiac and astrology may peg Scorpio to be the most passionate of all the astrological signs of the zodiac, but when it comes to a relationship with a fellow Scorpio, it looks like they need to turn down the passion to a more realistic and manageable level to make it work. The Scorpio Zodiac Sign are famous for their unbridled passion and commitment to their partners. They are known to be too critical and possessive, and they tend to be jealous all of the time. When it comes to relationships with their polar opposite sign, it can definitely result to astrological hell. Much like the relationship of a Scorpio Zodiac Sign to its own sign, a relationship with Taurus may be one of the most difficult, especially factoring in emotional possessiveness and jealousy. The horoscopes Scorpio and Taurus are known to be the most possessive and jealous signs out of all the zodiac astrological signs, and it was established a little earlier that emotional excess can cause pure astrological hell, which can definitely be the case when you match a Scorpio with a Taurus. They are so similar in many ways you actually wonder why they can’t seem to get along: they are both very stubborn, especially when it comes to emotional entanglements; they are both very passionate, especially when it comes to the relationship with their partners; they can both be very jealous, sometimes bordering on obsession and possessiveness. What they have actually is a simply complicated relationship, because they want the same things but on entirely different levels. A Taurus wants to actually own a partner, much like a physical object; A Scorpio, on the other hand, wants to take a hold of the emotional sense of a relationship. Both of the zodiac signs, however, are completely adept when it comes to finances, and they tend to be divided as well in this regard – with a Scorpio being too thrifty while a Taurus prefers to spend more on creature comforts and anything that can make them comfortable. 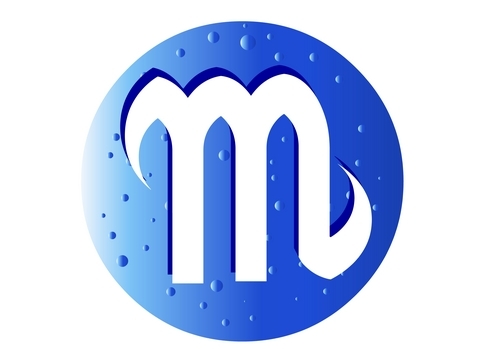 Being a water dominated sign, the Scorpio Sign is known to be extremely compatible with other water signs (Pisces and Cancer) and have very harmonious signs with earth dominated astrological signs of the zodiac. Scorpio is also a sign that has Negative quality according to zodiac and astrology, which makes them introverts and are very much drawn to people who are the same. Many people may wonder, especially those briefed with the basics of the horoscopes, what a jealous and possessive sign like the Scorpio Zodiac Sign may have in common with the sign of the Sea-goat Capricorn whose main objective is to be a career giant. The idea is simple: Capricorn loves security, no matter how and when it affects them; Scorpio gives them perfect security even when they become over-possessive and jealous. It is also very important to note that even if the crab sign of zodiac and astrology is very emotional and passionate when it comes to relationship, they are also very career driven, determined, extremely ambitious when it comes to goals and have a very huge understanding about responsibility – almost all of the qualities that a Capricorn values the most. Capricorn is also very inward-driven, and will definitely welcome the passion and emotional driven Scorpio as a break from all the hard-work and goals. A definite match made in heaven. There are so few out of the zodiac astrology signs that can put up with the indecisiveness of a Pisces, but fortunately for the sign of the fish, the Scorpio Zodiac Sign is one of them. Scorpio’s strength and emotional power is the perfect anti-thesis for the indecisiveness of a Pisces. 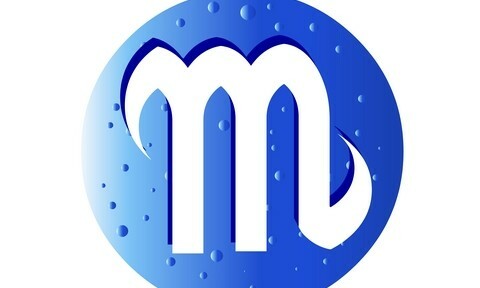 Even though a Pisces if known for its indecisiveness, they are still considered one of the zodiac horoscope signs most creative imaginative horoscope sign, and can definitely spark the creativity of a Scorpio – also considered to be the most creative out of all of the astrological signs of the zodiac. While the other signs might seem out of place and view a Pisces as a day-dreaming slacker, a Scorpio welcomes this change, especially since it gives them less to worry about. Scorpio also craves a lot of attention, admiration and support from their relationship partners, something that a Pisces is more than willing to deliver in spades. Being one of the zodiac astrological signs that are more in tune with their inner-self, a Pisces can definitely be more in touch with their emotional awareness, and can definitely understand a Scorpio’s need to be possessive and jealous all of the time. Finally, Pisces is also known to be very strange and bizarre in taste, which is definitely welcomed by a Scorpio’s need for creative passion. The horoscopes of Scorpio and Cancer are both driven by passion, emotions, possessiveness and extreme jealousy. These qualities that are in common might spark some debate, endless arguments and fights, but in the end their passion can also win back their relationship to a very productive and heated one. Cancer is known to be an extremely clingy and possessive partner, and the Scorpio Zodiac Sign is known to be the same but can definitely compensate by being supportive and protective. Having security in a relationship and having their possessiveness reciprocated by intense positive feelings will definitely delight a Cancer, especially for an insecure water sign like the crab. On that note, Scorpio requires that their partner be loving, affectionate and devoted, all of the qualities that a Cancer have in spades. On a final note, Cancer also has a way when it comes to finances, and a Scorpio can definitely agree with that, especially since a Scorpio values wealth and finance as much as they do their relationships. What is so special about a Virgo that the Scorpio Zodiac Sign see in order for them to try out being in a relationship with them? The answer is simple: Virgo and Scorpio are two of the most passionate of the zodiac astrology signs. Being passionate about something is definitely a plus for both signs, and it really doesn’t matter if they are passionate about completely different things too: a Virgo is more passionate about intellectual things and being as perfect as possible; while a Scorpio is more passionate about emotional things and focusing on all the wonderful imperfections in life. Although for the most part: Virgo might often wonder why a Scorpio is too passionate about feelings and emotions when there are definitely more things to be worried about, like the finer things in life. It is a good thing then that both the astrology signs are very devoted to financial security as well as family that all signs of differences when it comes to passion are immediately forgotten. Their feelings of passion also tend to go towards serious loyalty and commitment to each other, and their creativities will definitely fan the flames of intense intellectually creative sessions. Virgo is also more interested in intellectual and mental cravings, things that a Scorpio wouldn’t mind especially since both of them have very much in common. The Scorpio Zodiac Sign is a very emotional sign, and it is no wonder that other zodiac and astrology signs might have a problem with this dominant trait of theirs. Scorpio is also known to be extremely possessive and jealous and they have a tendency to be very critical when it comes to relationships. Almost all of the zodiac signs that need to be free and value travel over being tied-down might have a problem with Scorpio’s need to be hyper-possessive. Sagittarius, Aquarius, Aries, Gemini, Leo and Libra all have one thing in common: they all love travel, they all love being free, and all of them hate to be tied down. The first thing that a Sagittarius might have an issue about when it comes with a relationship to a Scorpio is that they do not like a Scorpio’s need to be jealous and possessive, especially when it comes to their travels and interactions. Sagittarius is an extremely flighty zodiac horoscope, which makes it entirely impossible to be satisfied with a Scorpio’s possessive and jealous ways. The need of the Scorpio for security and loving will be left unfulfilled especially by a Sagittarius who wants nothing more that to look for new adventures and experiences. All a Sagittarius wants is to have fun and be free-wheeling, which will definitely be a problem especially since the Scorpio Zodiac Sign doesn’t really care about superficial things like that as long as they are loved and have security. A Scorpio is also a very secretive and introverted sign when it comes to his or her relationships, which is very weird especially since being passionate and emotions are all they care about. Sagittarius is known as a very extroverted sign when it comes to its relationships, so being open and very talkative to their partner will definitely alienate a Scorpio. Aquarius might be one of those astrological signs of the zodiac that do not hold any type of importance to emotions and feelings, something that can definitely jar a Scorpio to the bone. The Scorpio Zodiac Sign holds any kind of emotion and feeling they have in the relationship sacred, and will definitely be off-put by the nonchalant ways an Aquarius disregards any type of feelings for the matter. An Aquarius is quite casual, in fact, that a Scorpion might wonder if they hold any type of importance to the relationship at all, which is something that an Aquarius does but in an entirely different way. Aquarius views relationships as just a way to broaden horizons and enhance interactions, something that they do to be able to follow their interests more closely. Aquarius also has very unpredictable moods, being an element dominated by Air, and will have their freedom deprived from them by the possessive Scorpio all of the time. The main problem with an Aries and Scorpio union is that they are both extremely passionate about their emotions and feelings that both of then neither knows where to start or when to end. Aries and the Scorpio Zodiac Sign are both astrological signs of the zodiac that need to dominate and take control, something that they are both very comfortable doing and that they both want to do at the same time that it might spell trouble if neither of then gets their way. They are both decision-makers, and problems will also arise especially if both of them want to be aggressive and assertive at the same time. Aries is also known in the zodiac astrology to be a very outgoing and flirtatious sign, something that might enrage a very possessive and jealous Scorpio. Basically, the main downfall of this relationship is that they both have too much in common and both are operating on the same wavelength that neither of them want to relinquish their power to another, especially if both their prides are on the line. A relationship between the horoscopes of Gemini and Scorpio will never work out, especially if you consider the flirtatious and playful nature of a Gemini. If there is one thing that the Scorpio Zodiac Sign hates the most, it is the fact that they can never control their partner, especially when it comes to interactions with other people. Scorpio is driven nuts by the need of a Gemini to be truly social and interactive when it comes to social gatherings and events, which is normal for the twin to do, while a Scorpio demands that they be on their side no matter what. Scorpio also demands stability and security in their relationships: one of those things that absolutely bore the hell out of a Gemini. Zodiac and astrology pegs Gemini to be the most restless of the signs, and that definitely means that any attempt to tie them down on one spot will cause severe and complicated problems. A Scorpio might find it fun and intriguing to be with a Gemini initially, but thing will definitely change for the worse when a Scorpio finds out that they have severely differing traits. Being two astrological signs of the zodiac that love to dominate will definitely cause some problems in the long run, and a Scorpio’s need for dominance when it comes to relationships will definitely cause some frictions with a Leo’s need for overall dominance. Leo is the most egotistical of all the other zodiac horoscope signs, wanting nothing more that to always be on the spotlight and endless praise for themselves, especially from others that are not necessarily their partners. This kind of thinking will definitely spark the jealousy of a possessive Scorpio. Leo is also very used with extravagance and majestic things, being frivolous and wasteful in the process; just some of the things that do not sit well with a very conspicuous and thrifty Scorpio Zodiac Sign. Scorpio also tries their best to fulfill the need of a Leo for more attention, but a Leo will never be content with a singular act of praise and exaltation. The need for more will be the undoing of this relationship. Libra is known as the zodiac and astrology poster boy or girl for balance, either with emotions or mentality. That being said, they will definitely disapprove of the Scorpio Zodiac Sign’s constant preference to prioritize emotions and feelings over intellect and thought. Libra, being an individual of balance, tends to favor intellectual stimulation over emotions, and will find it very difficult to strike the perfect balance of intellect and emotions when in an relationship with a Scorpio. A Libra is also known to be a very inconstant flirt, which will drive a Scorpio crazy because they wouldn’t know when the right time to be jealous is. Travel will always be a problem for a Scorpio, who wants to stay at home most of the time, and travel is one of the things that a Libra treasures the most because it allows them to be more intellectually stimulated.